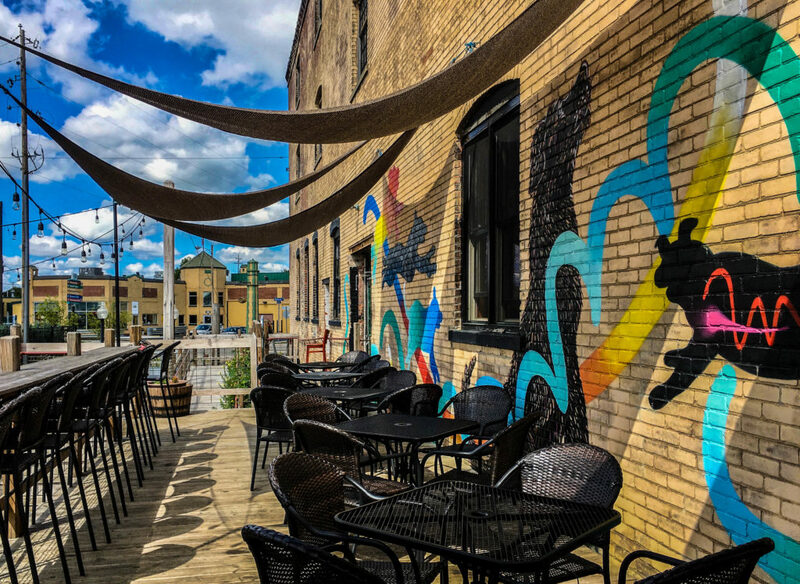 After enduring a cold and snowy winter season, the consensus here in Kalamazoo is that we pretty much take every opportunity we get to enjoy an open-air activity or hangout spot. Even though our idea of warm weather might very well be any and all temperatures above freezing, we’ve rounded up eight sure-fire ways you can get outdoors and enjoy a little bit of sunshine this spring! It’s hard to beat drinking beer outdoors! Our beer gardens are perfect for a night out with friends, a happy hour with co-workers, dinner and drinks with the family and even a daytime hang with kids. Want more on our outdoor dining? Kalamazoo is home to mountain bike trails for riders of all levels. If you’re craving adventure, you’ve come to the right place! Check out our local trails information here. When making vacation plans, pet owners often look for the lowdown on pet approved attractions, as well as recommendations on dog beaches, off-leash parks, outdoor restaurants and more. Treat Street, The Spirit of Kalamazoo and Apple Knockers Ice Cream Parlor are just a few spots in the area that go out of their way to welcome your pooch with enthusiastic open arms! Kalamazoo is spoiled to have so many options when it comes to places to enjoy the great outdoors. Next time you’re craving some R&R, refer to our list of 10 Places to Hang Your Hammock so you can recharge somewhere with a view! Nothing says spring is here quite like locally-grown blooms and farm-fresh produce! Get outdoors by hitting up a greenhouse in the area or Kalamazoo’s seasonal outdoor farmers market! Spring is the kick-off season for America’s favorite pastime! Grab your family and friends and head to Homer Stryker Field to cheer on the Kalamazoo Growlers. The Growlers have continued to rennovate Homer Stryker Field each offseason to create one of the most comfortable, unique and fan friendly ballparks in the country. Love blazing the trails but need something that everyone can enjoy? From lively urban parks to re-imagined recreational landscapes, our parks can be a relaxing family stroll, an afternoon at the splash pad or a gorgeous journey into nature! The Kalamazoo region is home to some of the best golf courses in Michigan! After a long winter, we understand if your golf game is a little rusty. Take a look at our Recommendations For Your Next Golf Outing in Kalamazoo.